The team at Liberty Home Dialysis (LHD) and partners at Dallas Renal Group (DRG) have provided superior kidney care to families with their compassion and state of the art practices for years. 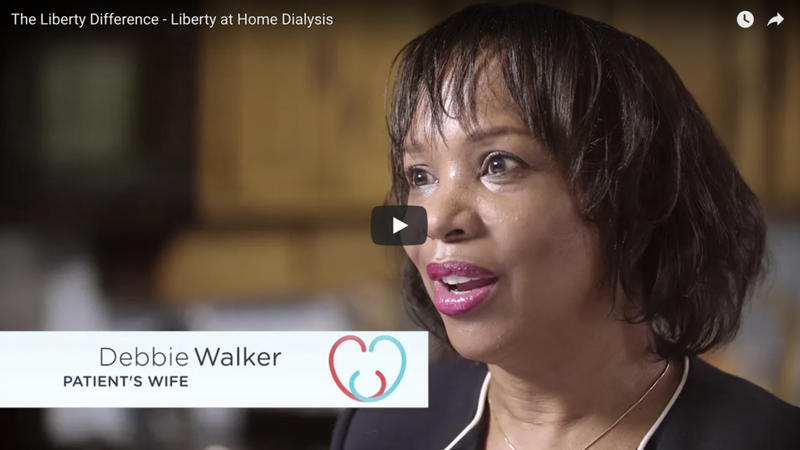 Delivering high quality treatment in the comfort, convenience and privacy of home, Liberty Home Dialysis came to us with the desire to rebrand and create fresh content that would differentiate them as the premier nephrology practice in the Dallas - Fort Worth Metroplex. Following several conversations with LHD and our Creative Team, we designed a new brand that would distinguish LHD from their competitors. We then crafted fresh messaging for marketing materials and social platforms that would offer an opportunity to interface directly with current and prospective patients. Implementing the innovative brand and messaging, we developed video stories to captivate referrers, patients and caregivers. We'll always answer the call to action and look forward to telling more stories!